253.002 carried ALEX branding in 2006, brightening up the nondescript Dispolok livery. 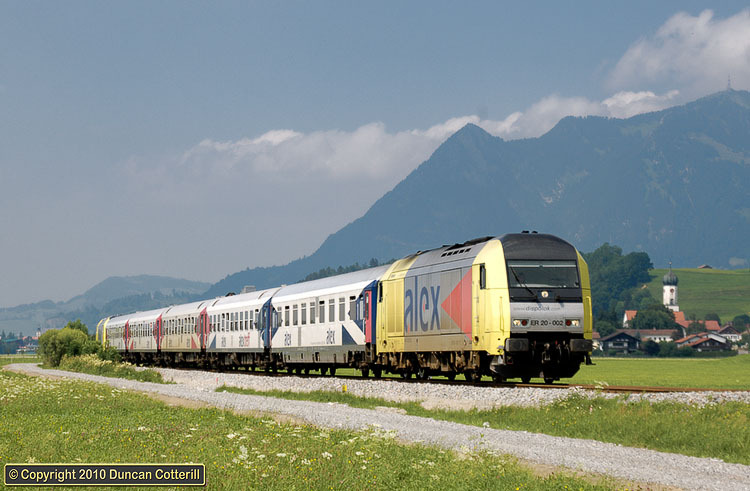 The loco was working ALX86710, the 13:21 from München to Oberstdorf past Altstädten on 15 July 2006. 253.014 brought up the rear.